Those searching for rugs have a lot of decisions to make. Aside from numerous styles, colors, and sizes, the type of rug warrants attention. 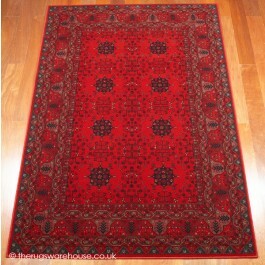 Persian rugs are highly popular due to quality and affordability. Consider the following benefits associated to purchasing Persian rugs. There is a difference between handmade and machine-made Persian rugs. The former is held in higher regard due to detail, durability, and overall charm. Some prefer machine rugs because of the steep decline in price, yet those searching for premium products select handmade pieces. Sure, price necessitates consideration, yet many purchase handmade Persian rugs as investments. Like wine, handmade rugs appreciate in value as time passes. Spotting a machine-made rug is not difficult; simply observe the flipside of a product in question; if you can see a backing rather than a pattern, it's highly likely it's machine-made. A large number of Persian rugs are crafted from wool, cotton, silk, jute, and/or animal hair. Each material has its set of advantages and disadvantages. For instance, silk is an attractive and highly durable natural material, yet the material is very expensive, inspiring vendors to keep supplies limited. Cotton is durable and offers a variety of options, yet the material has a high predisposition for accumulating mildew. Approach a vendor for specific questions related to your material of choice. Shoppers of Persian rugs are confronted by many choices of color and design. Many times, weavers use color meanings and folklore to inspire production. Traditionally imagery borrowed from battles, religion, important leaders, superstitions, and the like are implemented into rugs. Price is an unavoidable aspect of consumerism. Do you really have to break the bank for Persian rugs? Not necessarily. Many vendors offer handmade rugs at affordable prices. Like the pursuit of other products, it's beneficial to peruse several stores before making a final decision. However, online vendors often offer better prices, escaping the need to pay physical store costs associated to rent, utilities, and in-store workers.